For the first time, WhatsApp Messanger, one of the worlds favourite instant messaging service on Smartphone devices is available on Web via Google Chrome browser as its extensions. 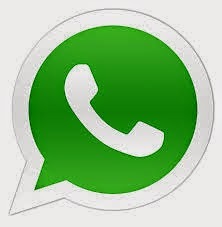 Connecting your whatsApp account to Google Chrome browser is simple than installing a software. Open https://web.whatsapp.com/ in your Google Chrome browser and your could see a QR code and Scan the QR code inside WhatsApp messenger and your phone Whatsapp will be paired to your browser (chrome only). And you are ready to use. You phone should be connected to internet to work chrome extent ion. Oops Not Available now due to iOs limitations.